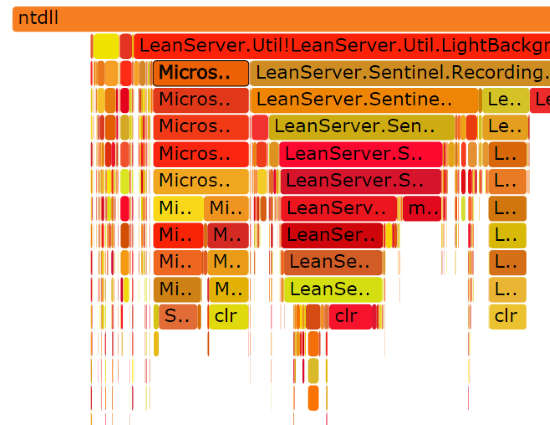 LeanSentry gives you deeper insight into your Windows web stack. that can perform expert diagnostics. Step 1. You install LeanSentry on your web servers. Step 2. 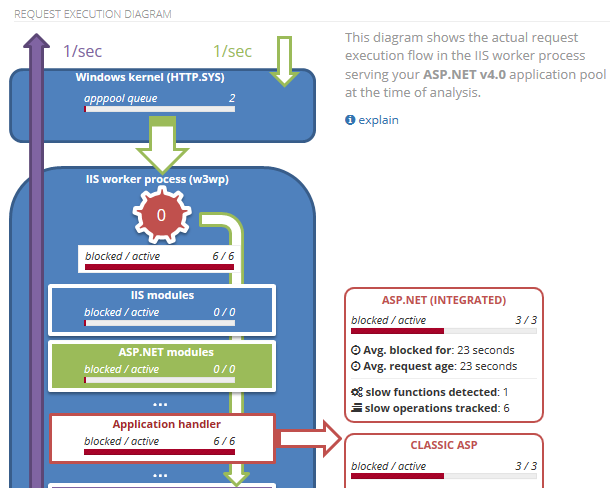 LeanSentry monitors IIS, ASP.NET and your applications, and detects errors, performance degradations, hangs and so on. Step 3. It automatically analyzes them and sends you expert analysis reports. How is it different from my current APM tool? Better insight into your web stack. We understand application pools, the IIS thread pool, ASP.NET performance, the CLR garbage collector, and so on. This helps us give you deeper, more actionable insights into your system. What can I do with LeanSentry? Understand how your web application stack is performing, down to the details. 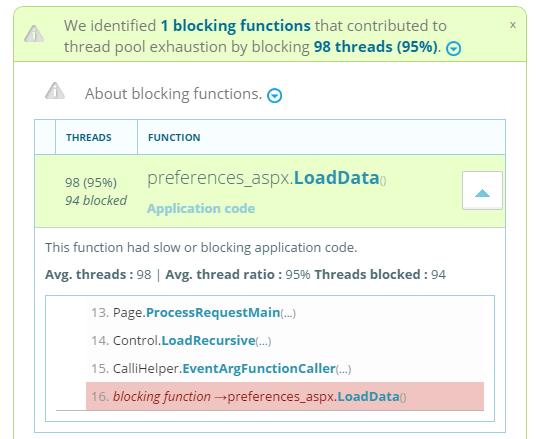 IIS and ASP.NET thread pool performance. App code, SQL queries, and REST calls blocking requests. Discover and fix errors across your entire stack. 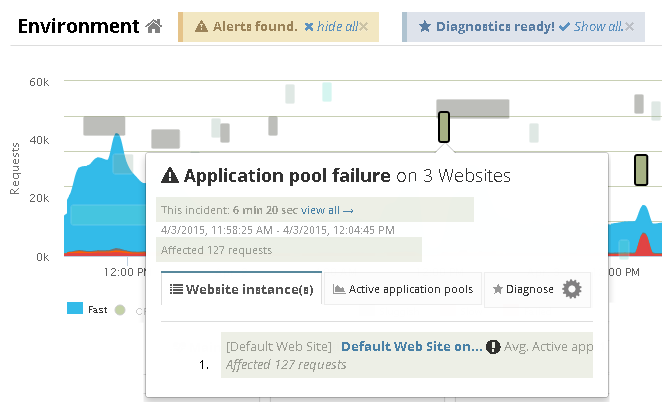 Application pool failures, server errors, and more. Automatically groups related errors for easy tracking. Gives you detailed exception stack traces, IIS error explanations, and request information to quickly isolate and fix errors. Automatically isolate high server CPU usage to to website, process, and down to application code. 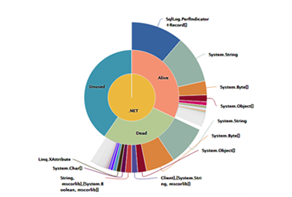 Proactively tune application CPU usage with full CPU profiles. 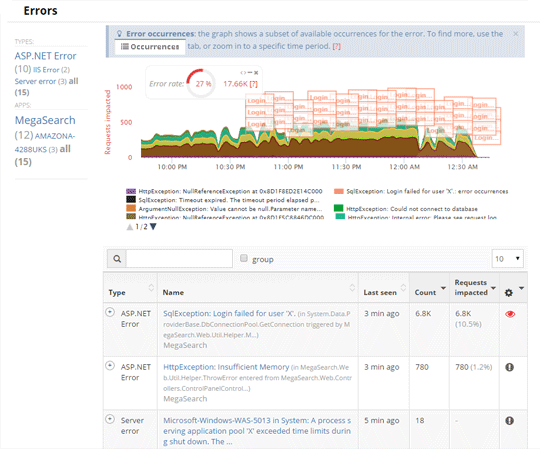 Get function-level CPU usage history to detect regressions & validate improvements. Automatically detect memory leaks and high memory usage for any process or website. 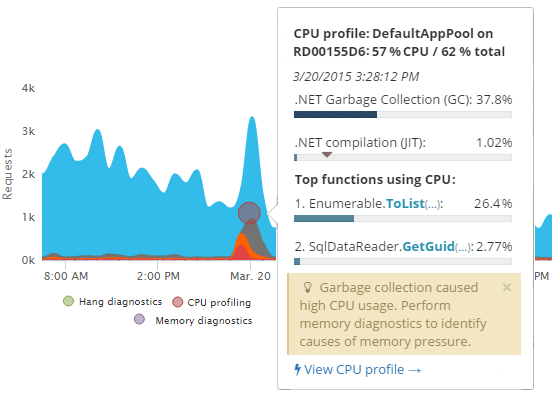 Proactively tune memory usage, and reduce .NET garbage collection impact. Get powerful code-level .NET memory analysis with searchable memory reference trees, alive/dead, and generational breakdowns. Detect slow requests, abormally errors, hangs, and high resource usage. No alert policy configuration necessary. Automatically diagnose the root cause of problems the first time they happen. Instantly diagnose hangs, high CPU, low memory, abormally high error rates, and more. Solve problems without needing to reproduce them. Add LeanSentry. Get expert-level insight into your web stack. Deploy in 5 minutes. No iisreset. Runs safely alongside other APMs.